The bay leaf, which is pretty fragrant, is a spice that has been used since ancient times and is very popular in the kitchens. The Laurel tree, even the subject of Legends, has always been valued by its benefits. Botanically, the bay tree belonging to the lauraceae family is known as the Latin name laurus nobilis. Although it is believed to have originated in Asia Minor, the bay tree spread to other parts of the Mediterranean and Asia. The bay tree is a tall, conical and unfolded tree that grows up to 30 meters. After yellow or greenish white, star-shaped flowers, it produces purplish dark-green seed-like fruits. The leaves are elliptical, bright and dark green in color. When laurel leaf is added to recipes, it gives a very pleasant and aromatic flavor. Fading and dried leaves can store their strong aromas for months. Dry fruit is used as a flavoring substance in some regions. Beay Leaf has a very strong effect on the gastrointestinal system because It reduces the toxins in the body, it is diuretic and stimulates vomiting when it is eaten toxic. In addition, the organic compounds in the bay leaf are soothing the stomach, relieving irritable bowel syndrome, and helping to reduce the symptoms of Celiac Disease. Some of the complex proteins can be difficult for digestion, but with their unique enzymes, the bay leaf provides efficient digestion and facilitates the intake of nutrients. ✓ Good For Upper Respiratory Tract: Bay (Laurel) leaf is mixed with ointment because it contains essential oils and applied on the chest to alleviate various respiratory conditions. At the same time, leaves are made into mules and used. Spread the bay leaf porridge on the chest and let it stay overnight. Inhalation of steam relaxes the phlegm by showing an aromatherapy effect. Having a nautral antibacterial helps to clear the bacteria trapped in the respiratory tract. 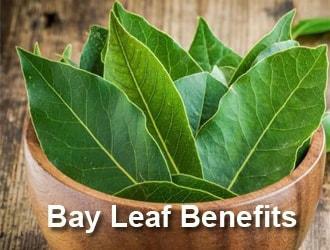 ✓ Good For Diabetes: As a result of lowering levels of glucose, cholesterol and triglycerides in the blood, bay leaf has been found to be effective in treating type 2 diabetes. For maximum results, the leaves can be used for 30 days. In addition to lowering the sugar in the body, it also positively affects the functioning of the heart. The antioxidants in Laurel leaf are becoming a good choice for people with diabetes because it allows insulin to function efficiently. Read: What Are The Health Benefits Of Shiitake Mushroom? ✓ Supports Heart Health: It protects against cardiovascular diseases such as heart attack and stroke because of its strong phytochemicals. Regular, salicylates, compounds such as caffeic acid work to improve heart health and improve heart function. In the case of heart disease and anxiety, boiling and drinking bay leaf with water will suffice. ✓ Fight Cancer: Bay leaf caffeic acid, kuerset, because it contains eugenol, has properties that provide resistance to different types of cancer. In addition, the bay leaf contains partenolite food, a phytoestin that is particularly shown to prevent the proliferation of cervical cancer cells. ✓ Relieves Pain: The oil obtained from Laurel leaves alleviates the pain of strain, sprains, arthritis and rheumatism as it fights inflammation. Bay leaf acts as a relief for migraine and headaches. It is also very useful for increasing blood circulation. Used on the pain felt in the joint bay leaf pain and inflammation will ease. ✓ High Blood Pressure: Another benefit of bay leaf hypertension is good. The bay leaves, which are boiled with water, help reduce the risk of high blood pressure by ensuring that routine blood circulation runs smoothly. Bay leaves are a very good choice for hypertension. ✓ Good For Cholesterol: Cholesterol is good for the body. However, you should be careful not to cover the bad effects of excessive cholesterol. 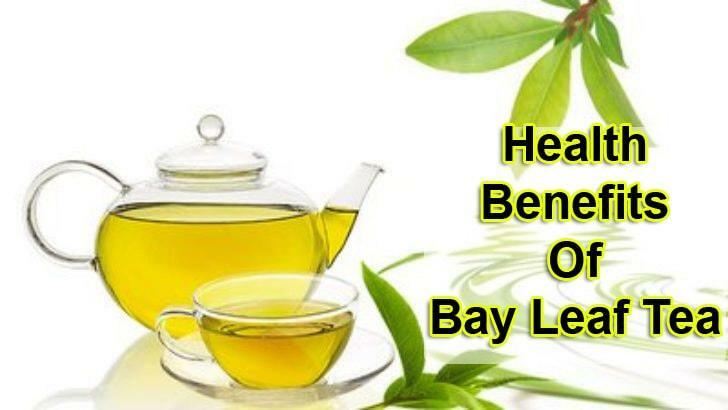 For the Elimination of bad cholesterol from the body, bay leaf is one of the best drugs known. Boil 10 to 15 Laurel leaves with 3 cups of water until it becomes 1 cup of water. Drain and cool for after. Thus it will help the body to bad cholesterol. ✓ Promotes Skin Health: Laurel leaf contains a range of antioxidants and antiseptic such as α-pinene, β-pinene, limonene, linoleic, methyl chavicol, nerol, α-terpineol and movicol. It has been found that these compounds are beneficial for the skin. On the other hand, bay leaf contains vitamin C that can protect the skin against damage caused by free radicals. ✓ Strengthens The Immune System: Laurel leaves are rich in vitamin A and C, as well as zinc. These nutritional values are the three most important substances known for a strong and healthy immune system. Vitamin C (77.5%) strengthens the immune system and increases the aggressiveness of white blood cells and is probably the most powerful antibacterial and antiviral Agent ever discovered. ✓ Good for Insomnia: Laurel leaf has mild sedative properties, so it is used as a sedative. In particular, it is useful to help with insomnia. Bay leaf is one of the simplest and most effective methods known to treat insomnia. ✓ Fights Stress: Laurel contains linalool just like basil and oregano. Therefore, it has a relaxing effect and has been used in aromatherapy for years. The negative effect of stress in the body can be renewed thanks to linalool . It helps to give the immune system a pleasant and relaxing feeling. ✓ Good For Menstrual Problems: Menstrual problems have become a more common problem especially in young girls due to hormonal imbalance and consumption of processed foods. The regular consumption of Laurel leaves by mouth helps in regular menstruation. Bay leaf can also be useful in case of excessive discharge. ✓ Fighting With Kidney Stones: Kidney stones are the most common form of kidney stones. A kidney stone is a hard mass developed from crystals that separate from the urine and build up on the inner surfaces of the kidney. Boil the Laurel leaves with water and drain. You can drink this water twice a day to reduce the size and prevent the formation of kidney stones. ✓ Good For Diarrhea: In addition to the above, Laurel leaf is also used as a natural remedy for diarrhea. There are many medicines available on the market for diarrhea, but most of them cause side effects. The leaf of Laurel is herbal, so it can be better than medicines. ✓ The Teeth Whiten: Bay leaves contain natural tooth whitening ingredients. To whiten teeth, the upper teeth are rubbed with crushed and powdered Laurel leaves. You can apply this method twice a week to get the best results. ✓ Beneficial In Pregnancy: The bay leaf is rich in folic acid. Therefore, it is recommended that pregnant women consume bay leaf to protect the fetus from birth defects. Bay leaf is believed to be beneficial during pregnancy. ✓ Promotes Hair Health: Bay leaf contains volatile compounds that treat scalp and eliminate dandruff problem. The leaves of Laurel help strengthen the hair follicles for the formation of shiny and black hair. To get rid of dandruff, apply to your hair. Bay oil has a sweet and spicy aroma. However, it has antiseptic, antibiotic, painkillers, anti-neuralgic, anti-spasm, aperitif, astringent, emmanagogue, fever medication, insecticide, cholagogue, stomach soothing, diaphoresis and tonic properties that may be beneficial to health. • Bay oil has analgesic and firming properties. Thus, it reduces the feeling of pain in the affected areas. It also helps to reduce the constriction of blood vessels. • Bay oil helps to start reglin and allows for a more regular regl. It also facilitates other problems associated with menstrual periods such as pain, bloating and fatigue. • Bay oil protects the stomach health by preventing infections, ulcers and acidosis. • Using Laurel oil as Hair Tonic is an excellent choice. By treating the scalp, it helps to get rid of dandruff problem. It also helps strengthen damaged and lifeless hair. • The Laurel oil alleviates excess gas. It regulates the digestive system by acting as a tonic on the liver and kidneys. • Massage with Laurel oil helps to relieve headaches and migraines. • Treatment of skin infections. When it is both antifungal and antibacterial, it is applied as topical to heal wounds, bruises or even insect bites. Dried or fresh laurel leaves, laurel leaf tea has a series of medical features. The bay leaf, which has become a relaxing tea with its sharp taste and beautiful smell, offers many benefits in health. + Laurel leaf helps to protect the health of the eyes by making tea vitamins. The bay leaf tea, which is filled with antioxidants, also supports skin health. + Niasin provides smooth processing of the bay leaf tea nervous system, which contains B-complexes such as pyridoxine, pantothenic acid and riboflavin. + Fresh bay leaves contain vitamin C (ascorbic) acid to protect the body against free radicals. Moreover, the iron mineral supports the production of red blood cells, thus strengthening the immune system. + Bay leaf tea makes potassium supplements. Tea, including flavonoids, on the other hand, allows blood pressure to be controlled. + Routine caffeic acid in bay leaf tea reduces bad cholesterol and helps maintain the heart. + Antioxidants found in tea help to control blood sugar. However, diabetic individuals need to consume laurel leaf tea in consultation with their doctor. + Laurel leaf tea helps alleviate rheumatic pain. Inflammation and swelling are effective on the go. + Linalool, an organic compound found in tea, causes a decrease in the level of stress hormones in the body. + A cup of hot bay leaf tea sipping, such as phlegm and bronchitis respiratory disorders are provided. It is an effective remedy for sore throat, cough and colds. + Linalol content provides benefits related to digestive problems such as bloating and bloating. + Tea with a diuretic, bay leaf helps remove harmful toxins from the body. Kidney stones form when there is too much acid in the urine. + Thanks to phytobins such as katesin, kuersetin, öjenol, caffeic acid linalol and parthenolite, bay leaf tea fights free radicals. According to individual studies, partenolitis can prevent the spread of cervical cancer cells. + Bay leaf tea helps to lose weight by accelerating metabolism. + Laurel leaf tea has anti-inflammatory properties to reduce the fire is useful. Read: What Are The Benefits Of Evening Primrose? What Are The Damages Of Bay Leaf? 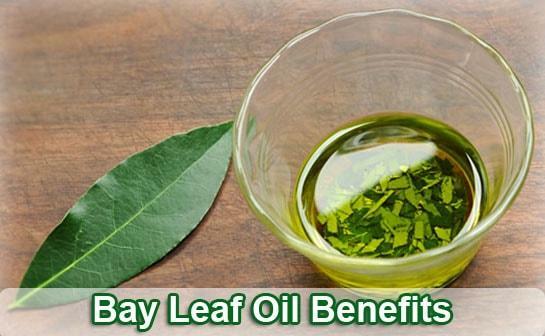 When bay leaf or bay oil is consumed in food quantities, it is considered safe for most people. When medicinal amounts are taken by mouth in the short term, the bay leaf is probably safe. When you use the whole bay leaf in your meals, make sure that you remove the bay leaf after cooking. It is not safe to consume bay leaf by mouth. This leaf is not digested, so it can damage the digestive system. It can cause damage to the inside of the throat and intestines. Pregnancy And Breastfeeding: If you are pregnant or breastfeeding, there is not enough reliable information about the safety of bay leaf consumption. It is useful to avoid bay leaf consumption to stay on the safe side. Diabetes: This leaf can interact with blood sugar control. If you are diabetic, follow your blood sugar levels regularly when you use bay leaf as a medicine. Surgery: Laurel leaf can slow down the central nervous system (CNS). When combined with Anesthesia and other medications used during and after surgery, CNS may slow down. Therefore, stop consuming bay leaf at least 2 weeks before scheduled surgery. • Laurel leaf, thyme, sage, zahter, celery, basil and is used as a spice. It can be used in meat, poultry and fish dishes. • Dried bay leaves can be prepared with herbal tea. • Bay is also an important component of many classic sauces such as bread sauce, tomato sauce and besambelli. Laurel leaf can be used for sweet bread, creams and desserts.